Does the mere thought of sitting down in a dentist’s chair fill you with dread? Does it make you avoid the dentist altogether? If so, you’re among the millions of Americans coping with dental anxiety. At Endres Gateway Dentistry, serving Cincinnati and Loveland, sedation dentistry may be just what you need. The reasons for dental anxiety are varied, but common issues are fear of injections, and fear of the after effects of injections. We offer our patients two types of sedation. Nitrous Oxide has been used in dentistry for more than one hundred years. It is safe and effective, wears off quickly, and will put you in a state of relaxation. Oral conscious sedation involves taking a sedative an hour or so before your scheduled procedure. It will make you very drowsy, and you won’t be very aware of what’s going on around you. 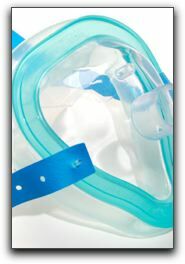 Sedation dentistry is valuable, because it can get you into the dentist’s chair when your instincts may be to avoid it. Skipping checkups and cleanings puts your dental health at risk. Better to have a little help getting through your appointment than getting a mouth full of cavities, or worse. Don’t let anxiety prevent you from getting the dental treatment you need. Endres Gateway Dentistry serves patients in Cincinnati, Blue Ash, Loveland, and Montgomery, providing family and cosmetic dentistry. Make an appointment today. Our smiles are powerful assets; we use them every day to express our emotions. But what if your teeth embarrass you? At Endres Gateway Dentistry, you can transform them with cosmetic dentistry. We all subject our teeth to a lot of wear and tear. They get stained by food and drink, chipped or cracked from active lifestyles, and get dull and yellow with the passage of time. At Endres Gateway Dentistry, we draw on the full range of cosmetic dentistry procedures to give you a perfect, dazzling smile. Teeth whitening is a case in point. It is one of the most popular cosmetic dentistry procedures we offer. Professionally whitened teeth can make a huge difference to your smile. If those newly whitened teeth happen to be crooked, imagine their appearance once we’ve corrected them with clear braces. With cosmetic dentistry from Endres Gateway Dentistry, we can correct ever flaw your teeth might have. The results, we think you’ll agree, can be quite stunning. Visit our smile gallery to see some examples of what we can do. 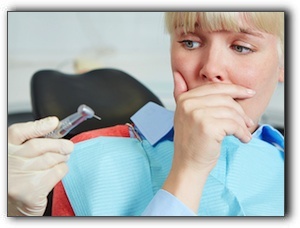 We also provide family dentistry, and sedation dentistry for those coping with dental anxiety. We treat patients from Blue Ash, Montgomery, Loveland, and Cincinnati. Some Cincinnati dental patients experience severe anxiety when undergoing dental treatment. With oral conscious sedation, it is possible to relax during dental procedures instead of being tense and fearful. Oral sedation dentistry, relaxation dentistry, conscious sedation and anxiety-free dentistry are all terms used to describe this type of treatment. In addition to alleviating anxiety, oral conscious sedation helps dental patients with a variety of conditions. If you have avoided dental treatment due to any of these factors, give us a call at 513-791-8880. We can give you important information about sedation options and help you determine which one is right for you. At Endres Gateway Dentistry we do all we can to make your visit as comfortable as possible. We look forward to discussing your oral health and dental goals. Serving Cincinnati dental patients since 2007. If you are dreading some upcoming dental treatment, you may want to consider oral conscious sedation. First off, oral conscious sedation or sleep dentistry is perfectly safe. 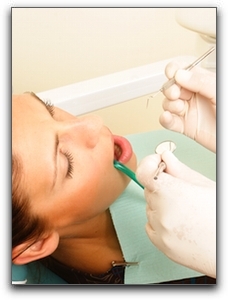 At Endres Gateway Dentistry, we have been providing sedation since 2007. We offer different levels of sedation and a choice of medication including oral analgesics, nitrous oxide, and IV sedation. When choosing a type of sedation, it is helpful to consider the type of anxiety (fear of immobility, fear of loss of control, fear of pain, etc), the specific procedure(s) you will undergo, the length of time necessary to complete the treatment, past experiences during treatment, and any complicating health issues. Call 513-791-8880 to schedule a consultation with Doctor Eleanor Endres to discuss your options. Perhaps Mommy is the one who is anxious about her child undergoing dental work. Sorry – we can’t sedate you while your child is being treated – but you can take comfort in the fact that we take excellent care of our youngest patients. We make sure they are comfortable, relaxed, and understand exactly what is going to happen. Our team of child-friendly dental professionals have been putting children at ease since 2007. Endres Gateway Dentistry offers full-service dental care including sedation dentistry, restorative dentistry, and cosmetic dentistry. Thanks for visiting our blog. Check back for more helpful dental information from Endres Gateway Dentistry in Cincinnati. Dental visits can be extremely stressful and for some Ohio residents, the fear and anxiety associated with a trip to the dentist prevents them from getting the care they need. 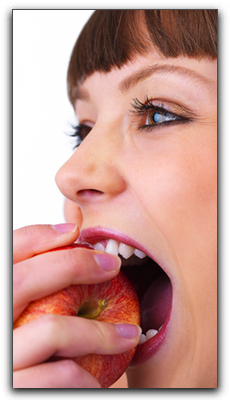 At Endres Gateway Dentistry we provide the best oral sedation dentistry available. We will accommodate your needs with minimal, moderate, or deep sedation. In addition to sedation dentistry, at Endres Gateway Dentistry we offer our Cincinnati patients a variety of procedures, including cosmetic dentistry, orthodontics, teeth whitening, family dentistry, and restorative dentistry. At Endres Gateway Dentistry, our professional staff will provide the best possible care for you and your family. Whether you need preventive care or cosmetic dentistry, the friendly team at Endres Gateway Dentistry will give you something to smile about! For more information on oral sedation dentistry or any other dental procedure, contact us at 513-791-8880.